Technology moves fast these days. It can be challenging to keep up with the latest trends as well as new releases of your favorite projects. I’m here to help! Spring Boot and Angular are two of my favorite projects, so I figured I’d write y’all a guide to show you how to build and secure a basic app using their latest and greatest releases. In Spring Boot, the most significant change in 2.0 is its new web framework: Spring WebFlux. Spring Boot 2.1 is a minor release, so there shouldn’t be any major changes, just incremental improvements. In Angular 7.0, the most significant change is upgrading to RxJS v6, and there are rumors that a new, faster renderer will be included. I wrote about how to integrate Spring Boot 2.0 and Angular 5.0 last December. This post was extremely popular on the Okta Developer blog and became an inspiration for many future blog posts. When Angular 6 was released, I was reluctant to update it because it has “Angular 5.0” in its title, and you don’t change a title because of SEO. This article describes how to build a simple CRUD application that displays a list of cool cars. It’ll allow you to edit the cars, and it’ll show an animated gif from GIPHY that matches the car’s name. 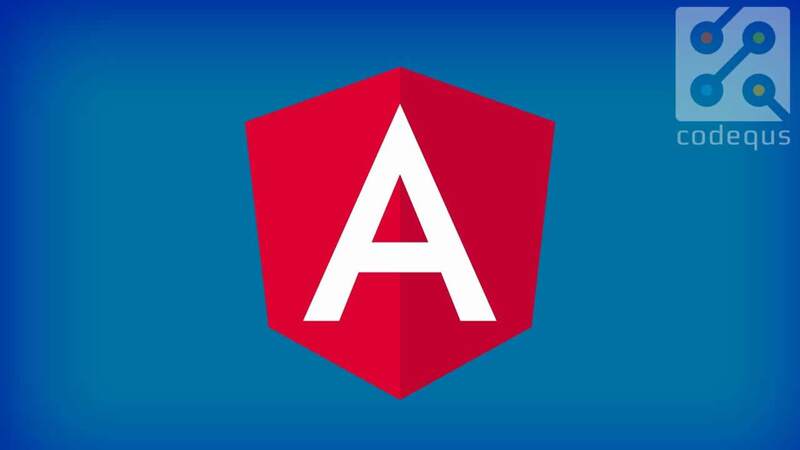 You’ll also learn how to secure your application using Okta’s Spring Boot starter and Angular SDK. Below is a screenshot of the app when it’s completed. You will need Java 8 and Node.js 8+ installed to complete this tutorial. For Java 10+, you’ll need to change the java.version property and jaxb-api as a dependency. Hat tip to Josh Long’s spring-boot-and-java-10 project on GitHub. To get started with Spring Boot 2.1, head on over to start.spring.io and create a new project that uses Java, Spring Boot version 2.1.0 M2, and options to create a simple API: JPA, H2, Rest Repositories, Lombok, and Web. In this example, I’ve added Actuator as well, since it’s a very cool feature of Spring Boot. Create a directory to hold your server and client applications. I called mine okta-spring-boot-2-angular-7-example, but you can call yours whatever you like. If you’d rather see the app running than write code, you can see the example on GitHub, or clone and run locally using the commands below. After downloading demo.zip from start.spring.io, expand it and copy the demo directory to your app-holder directory. Rename demo to server. Open the project in your favorite IDE and create a Car.java file in the src/main/java/com/okta/developer/demo directory. You can use Lombok’s annotations to reduce boilerplate code. Create a CarRepository class to perform CRUD (create, read, update, and delete) on the Car entity. Add an ApplicationRunner bean to the DemoApplication class (in src/main/java/com/okta/developer/demo/DemoApplication.java) and use it to add some default data to the database. If you start your app (using ./mvnw spring-boot:run) after adding this code, you’ll see the list of cars displayed in your console on startup. Add a CoolCarController class (in src/main/java/com/okta/developer/demo/CoolCarController.java) that returns a list of cool cars to display in the Angular client. If you restart your server app and hit http://localhost:8080/cool-cars with your browser, or a command-line client, you should see the filtered list of cars. Angular CLI is a command-line utility that can generate an Angular project for you. Not only can it create new projects, but it can also generate code. It’s a convenient tool because it also offers commands that will build and optimize your project for production. It uses webpack under the covers for building. 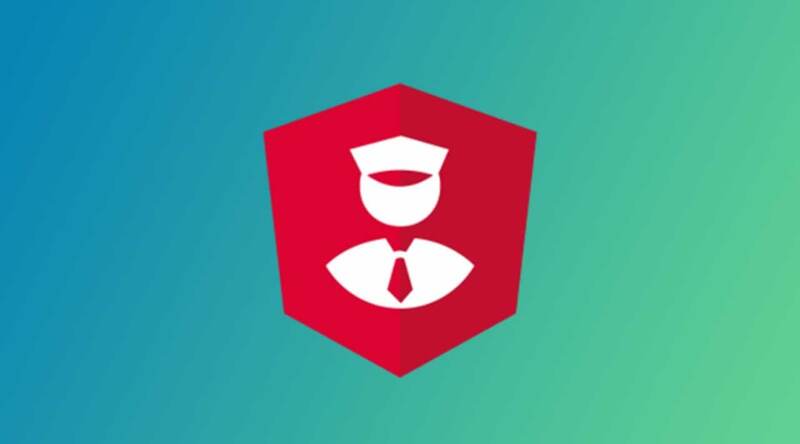 If you want to learn more about webpack, I recommend webpack.academy. You can learn the basics of Angular CLI at cli.angular.io. Install the latest version of Angular CLI, which is version 6.2.0-beta.3 at the time of this writing. Create a new project in the umbrella directory you created. Again, mine is named okta-spring-boot-2-angular-7-example. After the client is created, navigate into its directory, remove its Git configuration, and install Angular Material. Run npm audit fix --force to fix outdated dependencies. Edit package.json and change all instances of ^6.1.0 to ^7.0.0-beta.2 to upgrade to Angular 7. NOTE: If this post isn’t updated when Angular 7.0 is out, please leave a comment and remind me to update it. You’ll use Angular Material’s components to make the UI look better, especially on mobile phones. If you’d like to learn more about Angular Material, see material.angular.io. It has extensive documentation on its various components and how to use them. The paint bucket in the top right corner will allow you to preview available theme colors. Use Angular CLI to generate a car service that can talk to the Cool Cars API. Move the generated files into the client/src/app/shared/car directory. Update the code in car.service.ts to fetch the list of cars from the server. One of the changes I like in Angular 6+ is your services can now register themselves. In previous versions, when you annotated a class with @Injectable(), you had to register it as a provider in a module or component to use it. In Angular 6, you can specify providedIn and it will auto-register itself when the app bootstraps. Open src/app/app.module.ts, and add HttpClientModule as an import. Generate a car-list component to display the list of cars. Update client/src/app/car-list/car-list.component.ts to use the CarService to fetch the list and set the values in a local cars variable. Update client/src/app/car-list/car-list.component.html to show the list of cars. Update client/src/app/app.component.html to have the app-car-list element. car list just yet, and if you open your developer console, you’ll see why. This error happens because you haven’t enabled CORS (Cross-Origin Resource Sharing) on the server. To enable CORS on the server, add a @CrossOrigin annotation to the CoolCarController (in server/src/main/java/com/okta/developer/demo/CoolCarController.java). Also, add it to CarRepository so you can communicate with its endpoints when adding/deleting/editing. Restart the server, refresh the client, and you should see the list of cars in your browser. 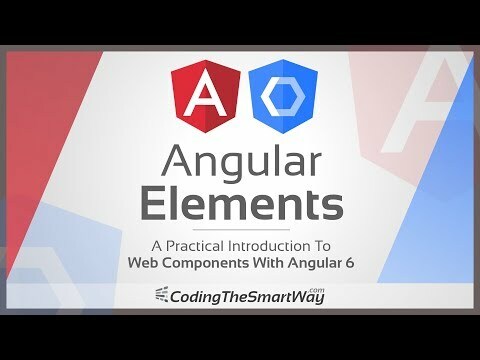 You’ve already installed Angular Material, to use its components, you just need to import them. Open client/src/app/app.module.ts and add imports for animations, and Material’s toolbar, buttons, inputs, lists, and card layout. Update client/src/app/app.component.html to use the toolbar component. Update client/src/app/car-list/car-list.component.html to use the card layout and list component. Modify client/src/styles.css to specify the theme and icons. If you run your client with ng serve and navigate to http://localhost:4200, you’ll see the list of cars, but no images associated with them. To add a giphyUrl property to cars, create client/src/app/shared/giphy/giphy.service.ts and populate it with the code below. Update the code in client/src/app/car-list/car-list.component.ts to set the giphyUrl property on each car. Now your browser should show you the list of car names, along with an avatar image beside them. Having a list of car names and images is cool, but it’s a lot more fun when you can interact with it! To add an edit feature, start by generating a car-edit component. talk to the endpoints provided by the CarRepository and the @RepositoryRestResource annotation. to add a new car. In client/src/app/app.module.ts, add routes, import the FormsModule, and import RouterModule. Modify client/src/app/car-edit/car-edit.component.ts to fetch a car’s information from the id passed on the URL, and to add methods for saving and deleting. Update the HTML in client/src/app/car-edit/car-edit.component.html to have a form with the car’s name, as well as to display the image from Giphy. <input matInput placeholder="Car Name" [(ngModel)]="car.name"
Put a little padding around the image by adding the following CSS to client/src/app/car-edit/car-edit.component.css. Modify client/src/app/app.component.html and replace <app-car-list></app-car-list> with <router-outlet></router-outlet>. This change is necessary or routing between components won’t work. After you make all these changes, you should be able to add, edit, or delete any cars. Below is a screenshot that shows the list with the add button. The following screenshot shows what it looks like to edit a car that you’ve added. Add authentication with Okta is a nifty feature you can add to this application. Knowing who the person is can come in handy if you want to add auditing, or personalize your application (with a rating feature for example). On the server side, you can lock things down with Okta’s Spring Boot Starter, which leverages Spring Security and its OAuth 2.0 support. Open server/pom.xml and add the following dependencies. Now you need to configure the server to use Okta for authentication. You’ll need to create an OIDC app in Okta for that. Log in to your Okta Developer account (or sign up if you don’t have an account) and navigate to Applications > Add Application. Click Single-Page App, click Next, and give the app a name you’ll remember. Change all instances of localhost:8080 to localhost:4200 and click Done. Create server/src/main/resources/application.yml and copy the client ID into it. While you’re in there, change the issuer to match your Okta domain. Update server/src/main/java/com/okta/developer/demo/DemoApplication.java to enable it as a resource server. After making these changes, you should be able to restart your app and see access denied when you try to navigate to http://localhost:8080. It’s nice that your server is locked down, but now you need to configure your client to talk to it. This is where Okta’s Angular support comes in handy. The Okta Angular SDK is a wrapper around Okta Auth JS, which builds on top of OIDC. More information about Okta’s Angular library can be found on npmjs.com. In client/src/app/app.module.ts, add a config variable with the settings for your OIDC app. In this same file, you’ll also need to add a new route for the redirectUri that points to the OktaCallbackComponent. Next, initialize and import the OktaAuthModule. requests, you can use an HttpInterceptor. Create client/src/app/shared/okta/auth.interceptor.ts and add the following code to it. // Only add to known domains since we don&apos;t want to send our tokens to just anyone. // Also, Giphy&apos;s API fails when the request includes a token. To register this interceptor, add it as a provider in client/src/app/app.module.ts. Modify client/src/app/app.component.html to have login and logout buttons. You might notice there’s a span with a toolbar-spacer class. To make that work as expected, update client/src/app/app.component.css to have the following class. There’s also a reference to isAuthenticated for checking authenticated status. To make this work, add it as a dependency to the constructor in client/src/app/app.component.ts and add an initializer method that sets the variable. Now if you restart your client, you should see a login button. Notice that this shows elements from the car-list component. To fix this, you can create a home component and make it the default route. Modify client/src/app/app.module.ts to update the routes. Move the HTML for the Login button from app.component.html to client/src/app/home/home.component.html. Add oktaAuth as a dependency in client/src/app/home/home.component.ts and set it up to initialize/change the isAuthenticated variable. Update client/src/app/app.component.html, so the Logout button redirects back to home when it’s clicked. Now you should be able to open your browser to http://localhost:4200 and click on the Login button. If you’ve configured everything correctly, you’ll be redirected to Okta to log in. To fix this, add a bean to DemoApplication.java that handles CORS. You can see the full source code for the application developed in this tutorial on GitHub at https://github.com/oktadeveloper/okta-spring-boot-2-angular-7-example.